After a two-month long regular season, a week delay due to weather, and a bevy of bizarre twists and turns, selection Sunday for the MIAA Division 1A Super Eight is finally here. Later on this evening, the nine members of the Super Eight committee will convene at the MIAA offices in Franklin to determine whom the best eight teams are in Massachusetts. A number of interesting circumstances plague the committee with none more prevalent than the one facing St. John’s Shrewsbury. The Pioneers are the defending champions and have a solid resume, but are down their top two pitchers heading into the tournament. Catholic Memorial finished 12-8, but have a number of quality wins over the top teams in Massachusetts. When all is said and done we expect the following teams to likely hear their name nominated this evening: BC High, Wachusett, St. John’s Prep, Mansfield, Central Catholic, Franklin, Lexington, Walpole, St. John’s Shrewsbury, Wellesley, Catholic Memorial, Austin Prep, Masconomet, Xaverian and Belmont. Without further ado, here is SuiteSports’ fifth and final Super Eight projection. Make sure to check back in throughout the evening as we post the seedings, matchups, and reaction from the meeting following its conclusion. Overview: BC High claims the top spot in our final projection of the season. We expect the voting between the Eagles, Wachsuett, and St. John’s Prep for the top three spots to be close, but give the slight edge to BC High due to its play down the stretch of eight straight wins, its quality pitching staff, and its head-to-head win over Wachusett back in early May. With Mike Vasil and Sean O’Connell at the front of the rotation, and Bobby DeMeo, Marty McCormack, and Matt Sullivan atop the lineup, the Eagles have the pitching staff and offense to go deep into the tournament. Overview: As stated above, we feel that Wachusett could easily wind up as the top overall spot, but we are sliding into at number two due ultimately to the head-to-head contest versus BC High. The Mountaineers have lived up to the preseason hype all season long, going 15-2 versus Division 1 opponents and defeating St. John’s Shrewsbury, St. Peter-Marian, and Catholic Memorial. Mike Maher, Barry Walsh, and Cole Durkan lead a dangerous lineup while Jake Gigliotti sets the tone on the mound. Three seasons after going 1-2 in the tournament, the Mountaineers seem to have the tools to contend much more strongly for a championship. Overview: A loss to Billerica on Thursday likely damaged St. John’s Prep’s hopes of securing the top spot, but remain safely in the top three after rebounding with a strong win over St. Peter-Marian to close the season. After falling to 2-3, the Eagles finished the season winners of 13 of their final 15 games including wins over BC High, St. John’s Shrewsbury, the Guardians, Catholic Memorial, and Walpole. Josh Cerritani, Tyler MacGregor, and Alex Lane have led the offense all season long, while Jake Sanderson headlines the rotation. Overview: There is no more important spot in the Super Eight tournament than the four spot being that it brings with it the final home game of the opening round. Mansfield left little doubt that it deserves it when they defeated King Philip on Thursday to win their 13th straight game and claim the Hockomock Kelly-Rex championship. Despite having just four games against teams in the conversation, they have wins over Xaverian, Franklin, and Walpole. The Hornets have a pair of premiere arms in Tyler Dalton and Kevin Dow, while Sam Nugent is the focal point of the offense. Mansfield has all the pieces to make their first trip to the Super Eight in Joe Breen’s fourth year as head coach. Overview: Central Catholic just about put to bed any doubts of its Super Eight worthiness on Saturday afternoon as behind a 12-strikeout performance from Steven Hajjar, the Raiders blanked Andover 4-0 to claim the Merrimack Valley Conference large title. While the resume is not overly impressive, between Hajjar, Vanderbilt bound catcher Dominic Keegan, shortstop Noah Lucier, and number two starter Nate Carpenter, the Raiders have the talent to do serious damage in the tournament. Overview: While we expect Mansfield to end up somewhere in the top five, we also anticipate the Hockomock League to receive a second representative with Franklin also receiving their first Super Eight nod in the tournament’s five-year existence. 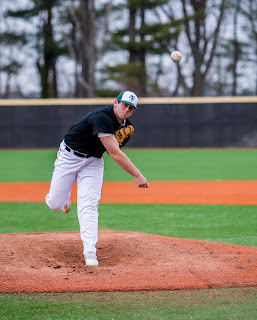 The Panthers have gone out and done just about everything the committee has asked of teams over the years – play 22 games, schedule tough non-league opponents from the Bay State League and Catholic Conference, and showcase they have the pitching depth to compete in a nine inning format. 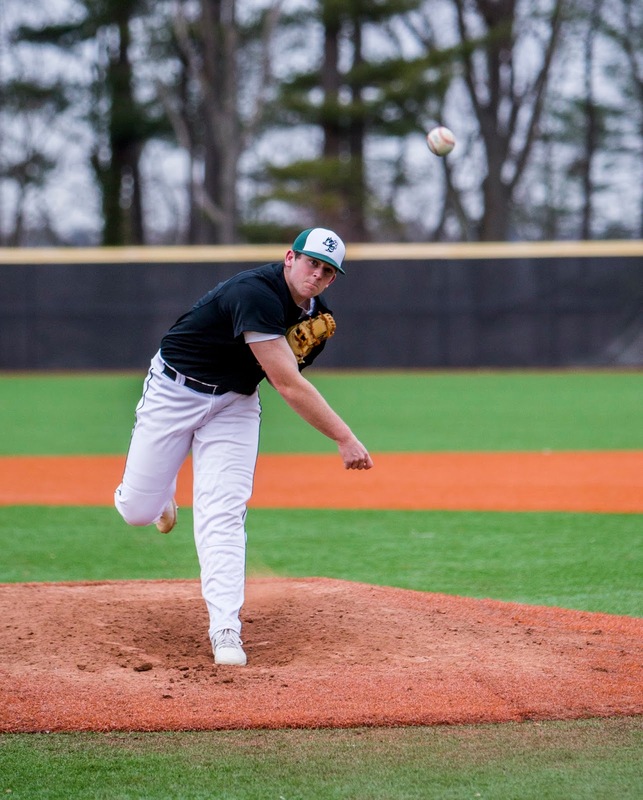 With 17 wins, victories over Walpole and Catholic Memorial, and a strong ace in Jake Noviello ahead of a solid number two in Bryan Woelfel, Franklin checks all the boxes and deserves a spot in this year’s tournament. Overview: The fun begins at the seven spot as we see at least seven teams that could compete for the final two spots. While St. John’s Shrewsbury, Walpole, Catholic Memorial, Austin Prep, Belmont, and Wellesley all certainly have cases we are giving Lexington this seed because of their terrific shortstop in Sal Frelick, a quality number one in Jack Palowski, and big non-league wins over BC High and Wellesley. One result that could hurt Lexington’s chances is its loss to Catholic Memorial, but with a huge 11-3 win over the Raiders in the seaosn’s final week, we believe the Minutemen made the closing statement the committee is often looking for when evaluating bubble teams. Overview: By putting Lexington in the seven spot, we see the eighth and final spot being between a host of worthy contenders in Catholic Memorial, St. John’s Shrewsbury, Wellesley, Austin Prep and Belmont. Due to its play down the stretch, however, and the fact they have three quality starters we are giving the nod to Walpole as the champion of the Bay State League's Herget division. The Rebels defeated Brookline, Newton North, and Braintree during the season en route to capturing the league title while also defeating Catholic Conference champion Xaverian in a key non-league game. One aspect working against the Rebels is they lost to Franklin, Mansfield, and Wellesley, but after the success the Bay State League has had in the tournament we find it hard to believe they will keep the Rebels out.